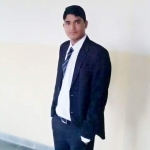 Kamal Sharma from Jaipur, BHM Graduate. SOFT SERVICES HOUSEKEEPING & FACIL.. ADMIN & FACILITY IN ..
are one of expert skill area's of Kamal Sharma . Kamal Sharma is working in Others industry. ADMIN & FACILITY IN ..